— Mr. Barkov, what is the company’s current investment program like? What facilities will it be focused at in the first place? — Well, let us start with major recent events in this regard. In February 2014, the Prime Minister of Russia Dmitry Medvedev held a meeting where prospects for the development of pipeline transportation were discussed as well as a long-term model of financing of investment projects of Transneft JSC, tariff and dividend policy. At the meeting, we said that the company’s investment program for a period of up to 2020 will amount to about 2 trillion rubles. This is an estimated figure only since some projects are not yet approved by the RF State Expert Evaluation Department. The declared amount is divided in two main categories of expenses: the scheduled amount of the investment program up to 2020 – RUB 633 bln; and the program of technical upgrade and repair up to 2020 – RUB 1.36 tln. The sources of financing for the investment program may be represented by both borrowed and internal funds as well as tariff adjustment and dividend strategy. So, financing of our investment plans will be arranged with due account of all four components. 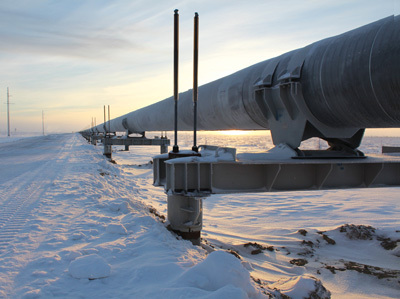 As a matter of fact, according to the Government resolutions, the throughput capacity of the East Siberia – Pacific Ocean pipeline system (ESPO pipeline) will grow up to 80 mln tons of oil per year by 2020. So, the new investment program also provides for ESPO expansion. On the whole, the program is aimed at development of the operating petroleum pipelines (ESPO-1 and ESPO-2, construction of the oil pipeline systems Kuyumba – Tayshet and Zapolyarie – Purpe), establishment of new systems of oil pipeline transportation and development of the existing ones (implementation of the South project and expansion of the North project). 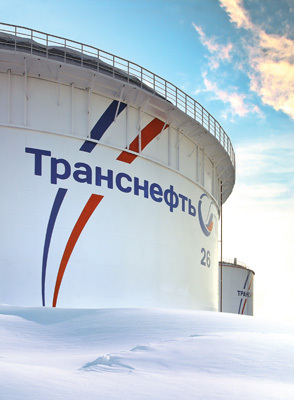 — Based on our knowledge, previously Transneft had to adjust its investment program. Did you have to fully give up on construction of any of the facilities? — Currently, we are searching for new solutions in the framework of a new task set by the government which aims to reduce expenses by 10% annually. Also, taking into account that so far the Federal Antimonopoly Service of the Russian Federation has been speaking out against the allocation of a part of oil transportation revenues to the development of the system of main oil and product pipelines, we have nothing to do but commence using oil pipelines capacities at some directions for transportation of oil products. It turns out that we have to give up on construction of some new facilities of the oil and product pipeline system in the context of implementation of the South project and partly in the context of implementation of the North project. Of course it is not a plaster for all sores, and it is not a global solution of the problem. This is a mid-term solution only but the oil pipes are not new either. — As of today, what is the status of the project for construction of the main oil pipeline Zapolyarie – Purpe? What tasks will be completed by its commissioning? — The truth is that the oil fields of the West Siberia, Bashkiria and Tatarstan are being depleted which predetermines development of new oil-bearing areas and accordingly, development of the system of oil pipelines. Please keep in mind that according to different estimates, the annual production decline in the West Siberia now amounts to 5-8 mln tons. So the pipeline was definitely needed to be constructed. It will ensure oil transportation from the regions of the Yamalo-Nenets Autonomous District and the north of the Krasnoyarsk Territory including Vankorskoe field. Currently, as part of implementation of the first line of the project, construction of a segment of Zapolyarie – Purpe pipeline is completed and put on standby. The pipeline segment diameter is 1020 mm, and it is 134 km long, extending from the Purpe line operations control station up to the 358th kilometer. Construction of the power transmission line is completed, and it has already been energized. As for the second line of the project, welding is performed at over 180 km of the line pipe 212.2 km long. Besides the main facilities, it is planned to build route driveways, central repair service facilities, production support facilities, and line maintenance service that will ensure safe and trouble-free operation of the pipeline, as well as accommodation for the company’s employees that will operate the pipeline. — There is also another main oil pipeline (MOP) project: Kuyumba – Tayshet. What difficulties is the company facing here? — First of all, the route is quite complicated. It consists of hard rock and sandy rock, swamps, impassable taiga, permafrost zones, significant number of water obstacles. There are more than 120 water ways there including such rivers as Angara, Xhuna, Biriusa, Irkineyeva, Kamo, Tokhomo, etc. The winter temperatures are very low. The scheme of delivery of physical, human and technical resources is quite complicated due to lack of any infrastructure in that region including auto road and railroad communications. Design and construction of this facility requires special technical solutions, development of transportation schemes, construction management plans and method statements under the complicated climatic and natural conditions. Delivery of materials and technical resources has also been planned thoroughly. I am sure that our experience in construction of the ESPO pipeline and the oil pipeline system Zapolyarie – Purpe – Samotlor will help us to meet the challenges related to construction of Kuyumba – Tayshet MOP. — What kind of innovations does the company use in construction of new facilities and upgrade of the existing ones? — This question may be discussed in a whole separate interview so I will be brief. Exactly, our main innovation practices are used in construction of facilities in Zapolyarie. For Kuyumba – Tayshet project, we are planning to use pump equipment that will be manufactured under the four-way agreement signed with Japanese companies in the beginning of this year. According to the agreement, manufacture of pump equipment will be established in Russia, and suitable conditions will be created for transfer of technology and pumps manufacturing. The design of the pumps planned to be manufactured within the territory of Russia will provide for economic profit thanks to efficiency improvement and achievement of maximum throughput capacity of the pipeline. I have to tell that until recently, there was no such manufacture of main line pumps and jockey pumps available in Russia for usage at the facilities of Transneft JSC. — What are the main milestones of Kuyumba – Tayshet project and their completion deadlines? — This project is being implemented based on the master plan of the Russian oil industry development for the period up to 2020. Its purpose is transportation and delivery of oil from Kuyumbinskoe and Yurubcheno-Tokhomskoe fields to the ESPO pipeline system. 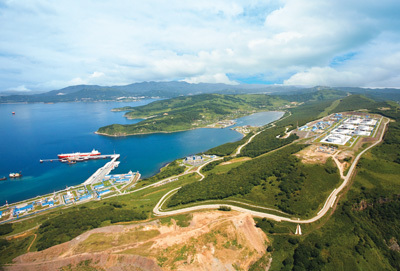 The annual throughput capacity will amount to 15 mln tons of oil. Construction of a line pipe is scheduled which is supposed to be 694 km long (including 88 km of DN500 and 606 km of DN700). The pipeline route lies across the Krasnoyark Territory and the Irkutsk region. As part of the line pipe, construction of 4 major underwater crossings across the rivers of Angara, Chuna, Biriusa (2 crossings) is scheduled, including redundant oil pipeline strings. The project provides for construction of 4 oil pumping stations (GNPS 1, NPS 2, NPS 3, NPS 4) with cumulative storage tank volume capacity of 160 thousand m3. Construction will be performed in two stages. The first one provides for construction of GNPS 1, NPS 2 and the line pipe and is scheduled for completion in 2016. The second stage will cover construction of NPS 3, NPS 4 and is scheduled for completion in 2020. Also, for operation of the main oil pipeline, two line maintenance & repair service (LMRS) facilities, central repair service (CRS) facilities and production support (PS) facilities will be built in Angarsky community. In Angarsky and Oktiabrsky communities of the Krasnoyarsk Territory, 5 residential buildings of the total floor area of 4500 m3 will be built. To provide electrical power supply to the MOP facilities by using the resources of Transneft JSC, there will be two HV PTL-110kV constructed of the total length of 640 km, and three substations 110/10 kV of the gross installed capacity of 84 MW. — What kind of oil quality will it be, and in what amounts will it be supplied to the pipeline? — The oil produced at both deposits is sweet crude oil, same as the whole ESPO oil flow, so it will not affect ESPO quality in any way. The produced oil quality corresponds to all specifications of ESPO oil: sulphur content is up to 0.65%, density is up to 850 kg/m³. Thus, A/P (ex Japan) consumers and traders may rest assured that ESPO quality characteristics will be consistent, and export volumes will grow from year to year. The capacity figure amounts to 15 mln tons of oil under the pressure of 75 atm. — What facilities of Kuyumba – Tayshet MOP will be constructed in the first place? — Due to the seasonal factor and difficult access to the north construction sites, we are first of all planning to relocate human resources and to deliver materials and equipment including pipe products required for facilities construction during the winter season 2014-2015. In the first half of the year, we will perform welding and installation works at the line pipe and will commence works related to construction of the oil pumping stations. In H II, besides construction and installation works that supposedly will be in progress, it is also scheduled to start construction of infrastructural facilities. — Are there any other specifics in design and implementation of the Kuyumba – Tayshet project? — At the stage of design, high-accuracy airborne laser scanning of the landscape was performed by using aerial photography which allowed optimizing the pipeline route and reducing the design period. Besides, the project provides for innovative solutions for process automation, pipeline facilities security system, and layout of self-carrying cable of the optical fiber carrier (OFC) laid on tower supports of the along-the-route overhead line 10 kV with extended conductor-to-tower clearance enabling them to be used on OHL 35 kV. Let me also say that out of 695 km of the route, one fourth part is taken by frozen soils, more than 20% by permafrost soils, and each one in ten kilometers lies across swamps and flood plains. Only drilling-and-blasting method may be used for the soil loosening at many lengthy segments of the route. Also, there are some specifics in construction of substations. For example, at one of the facilities, eternally frozen ground is used as a foundation that survives the construction process and remains in use throughout the service life of the facility. — And what about conclusion of “take-or-pay” agreements for those projects? Does that principle apply? — As a matter of fact, there is no such principle as “take or pay” as it is in the Russian law. But generally, our system allows for using such kind of schemes (refer to the RF Government Resolution No. 218 dd. 29.03.11). That is why we are trying to use that concept. We are not inventing anything new. This is a practice derived from the logic of market relations. “Take or pay” concept is effectively used in the pipeline system of Caspian Pipeline Consortium, and it does not raise serious doubts with CPC shareholders who are more than ten people. In spite of the fact that we are a state-owned company, we are also a business corporation. And as a business corporation, we are certainly not happy with the situation when we make major capital investments based on promises of oil companies, build infrastructural projects, and then some of those people discard their promises. We are strictly limited by the tariff, we also have to repay the loans, and our investments have to pay off as well. That is why we are now adopting that principle both for Kuyumba – Tayshet and Zapolyarie – Purpe projects. — What are the most significant social effects of the project that we may talk about? — Additional employment will be created with the beginning of construction of the line pipe, oil pumping stations and other facilities. The maximum estimated demand for construction personnel will be about 5.8 thousand people for the Krasnoyarsk Territory and the Irkutsk region. Operation of the pipeline will result in creation of over 1400 full-time jobs. Implementation of the project provides for engagement of staff from the local community. 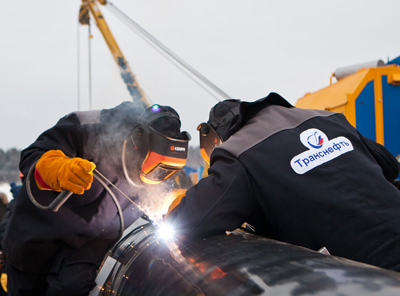 At the stage of the pipeline construction, there will be demand for welding, technical supervision, labor safety, design & estimate engineers, installation staff, welders, mobile equipment operators. The experience of ESPO construction shows that up to 30% of the total number of personnel involved in construction of the oil pipeline are locals. This project will also result in additional tax amounts allocated to the regional and local budgets. Also, besides the major production facilities of Kuyumba – Tayshet MOP, the project also includes social infrastructure facilities required for the pipeline operation – residential buildings and roads.